Luis ‘Perico’ Ortiz was born on December 26, 1949, in Santurce, Puerto Rico. From classical to pop, to Jazz, to Latin-jazz to salsa, his music reflects the vast experience of one man in a span of twenty-six years. He has accompanied great artists such as Ann Margaret, Dionne Warwick, Diahann Carroll, Trini Lopez, Engelbert Humperdinck, Sammy Davis Jr., Tony Bennett, Paul Anka, The Supremes, and many well-known international artists. In 1970 moved to New York where he developed himself as an artist/trumpeter, arranger, composer and company executive. 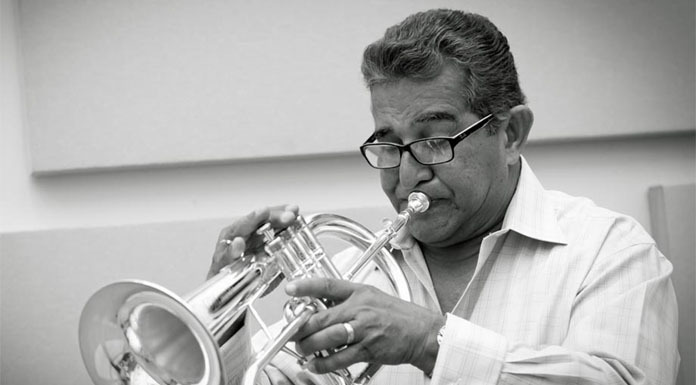 He became one of the greatest trumpet players in the Latin American field as well as a renowned composer and producer. 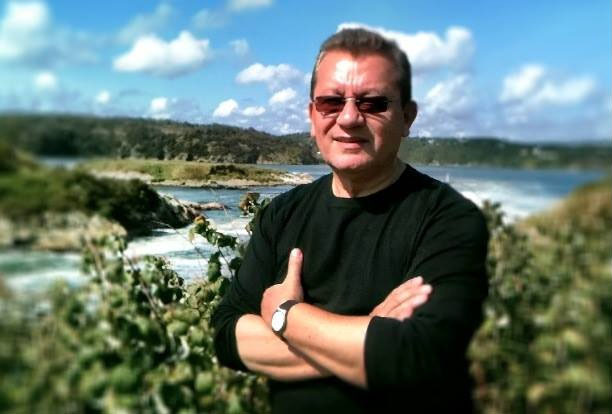 He created Sunrise Productions, Perico Records, Dialen Promotions Inc., Dialen Publishing (with representation in U.S., Europe, and Japan) and Dialen Recording Studios. In this way, Ortiz maintained absolute control over his music and created a workshop through his band for Latin artists, musicians, and singers, such as Rafael de Jesús, Roberto Lugo and sonero Domingo Quiñones. Ortiz resides in Puerto Rico where he is an artist, arranger, composer, producer, (records, video-film, and jingles) and launched his new company, Luis Perico Ortiz Productions Inc. Ortiz’ interest in music started at the early age of five, in the decade of the 1950s. As an adolescent, he studied music at the Free School of Music, the Music Conservatory, and the University of Puerto Rico. He played in the Puerto Rico Symphony Orchestra as a guest soloist at the age of eighteen, under the direction of Pablo Casals. His professional career started in New York City in 1970 when he worked as a trombonist, arranger, composer, and producer for artists such as Tito Puente, Machito, Mongo Santamaría, Tito Rodríguez, Fania All-Stars, Johnny Pacheco, the legendary David Bowie and record companies Velvet and TH Rodven. In 1977 he made his first recording as a soloist on the Turnstyle label. A year later he formed his own band and won the “Diplo” award as the best trumpeter in Puerto Rico. In New York, he won the Trumpeter of the Year award, the Arranger of the Year award, Best Orchestra, and Musician of the Year awards at the Latin New York Magazine Awards. In 1981, he was honored as the leading exponent of Latin music by ACE (Asociación de Cronistas de Espectáculos) and in the following year, won the ACE award for Best Orchestra in New York. In the summer of 1987, he composed for and directed the band for the soundtrack of the movie “Mondo New York,” along with Johnny Pacheco. The following year he produced and was the musical director for Barry Manilow in a record production entitled “Hey Mambo.” That same year he founded a recording company with studios in Puerto Rico. Ortiz also worked in the area of marketing and publicity; producing, composing and arranging music ads for radio and TV, for clients such as Heublein Spirit Group (Smirnoff), Castor Advertising (Mc Donalds), Uniworld Advertising (Kodak), Max Mambru Films, Blaze Productions, John Casablancas/Elite Modeling, Polaroid, HBO, Canal 47, and others. In 1993, he founded a new company in Puerto Rico: Luis Perico Ortiz Productions, Inc., which partnered with other media production companies such as Disney and Buena Vista Televisión. Later, he opened the “Puerto Rico Heineken Jazz Fest ’95” with his Latin jazz group and also made conferences presentations, and led workshops and Latin jazz concerts. In 1997 Ortiz produced “Sweet Basil” for Yoshihito Fukumoto, a former member of the famous Japanese salsa band La Orquestra de la Luz for a Japanese record label. The album consisted of Latin jazz, R&B, salsa, rap, ballads, and Brazilian rhythms. Ortiz also produced “Besame Mucho” for the Toshiba-EMI Limited of Japan and “El Cuarto Rey Mago,” featuring Christmas music by Puerto Rican singer Jose Nogueras for the Sony of Puerto Rico label. In 1998 he performed in San Juan, Puerto Rico’s Bellas Artes concert hall as the invited guest of Puerto Rican songstress Lucecita Benitez and with his good friend, sonero Domingo Quiñones. He also produced a record for Tommy Olivencia on the Polygram label.